If you've ever had a hankering for some octogenarian X-Games-style action, look no further than Granny Smith for iPhone and iPad. The premise is simple enough: Granny has has her apples stolen for the last time and she isn't going to stand for it anymore. In fact, cane in hand, armed with baseballs and bananas (just go with it), she's strapped on roller skates and aims to run the thief down. Granny is a fast old lady, but players need just two simple buttons to send her careening over obstacles and sliding along wires with her trusty cane. Walls collapse and windows shatter as she blasts through them, showing off a robust physics engine that gamers should expect from the makers of the water-splashing puzzler Sprinkle. But even if things get messy after Granny zooms by, the game looks great thanks to artist Henrik Johansson’s vibrant, playful style. 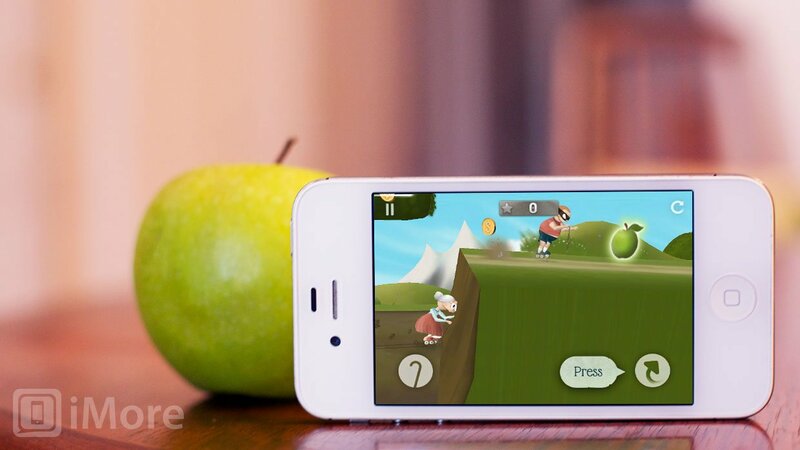 If Granny needs a boost, she can toss baseballs and bananas to slow down the apple-bandit and break through obstacles. Just be sure to collect enough coins along the way – and don’t faceplant after a big jump, or you’ll be left with an empty purse! 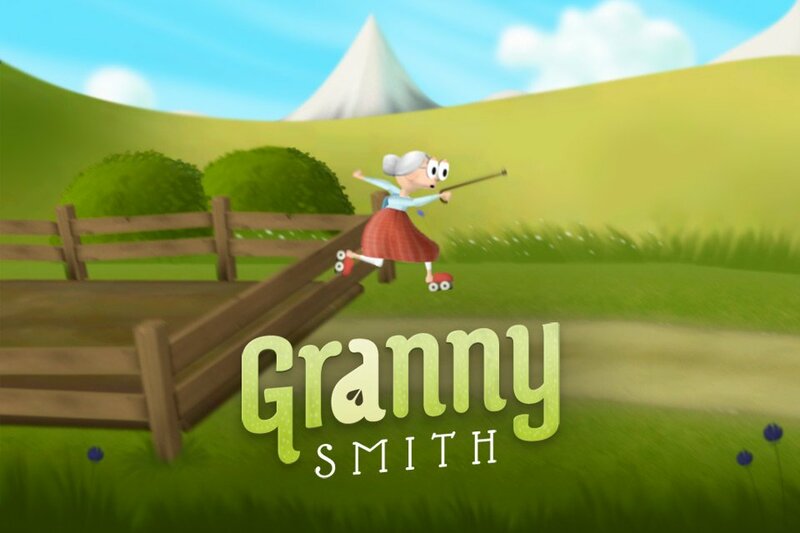 Granny Smith boasts 36 carefully crafted levels spread out through dozens of 3D, storybook-style worlds. Gameplay is simple and straight forward -- GRANNY SMASH! wouldn't be a bad way to describe it -- and thanks to an advanced physics engine, you can enjoy spectacular crashes with complete particle and debris explosions just to put a point on them. (And the very best moments of chaos and destruction get played right back for you in vintage video format for your viewing pleasure.) Power up Granny with more powerful weapons of mass-destruction, like banana peels, protect her with a helmet, or swap her out entirely for one of two additional characters -- Scruffy or Stanley. Pity the puny Apple thief. I've only had time to try it out for a few minutes, but so far, so fun. Or as Jerry Hildrenbrand from Android Central put it: Buying the Granny Smith game is the best buck you'll spend this week. If you've given Granny a go, let me know how you like it.